Most of you are probably too young to remember, and those old enough probably didn't realize it was happening, but back in the 90's, Jay-Z had his finger on the pulse. He knew what was hot, and he jumped on it. What was not hot in late 90's was Southern Hip-Hop. This was a time when Nelly was dreaming of a baseball career, Outkast were rapping about space aliens and Lil Wayne was a 14 year old in a group called the Hot Boys. At that time, the East and West Coast's were popping for Hip-Hop, but Jay-Z knew the Dirty South was coming. Whether it was recruiting UGK for 'Big Pimpin', jumping on remixes with C-Murder or recording with Junevile, Jay-Z knew that the Southern rappers and producers had fresh sounds and slang and he wanted in. This was Jay-Z the curator, the taste maker, back when he had both the juice and street knowledge to know what was hot and how he could integrate it with his sound. He also had the respect of the Hip-Hop community, and Southern rappers were eager to be in the Jay-Z business. 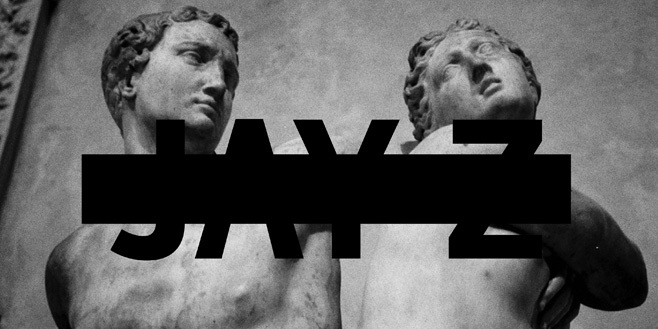 Fast forward to July 2013, and Jay is dropping his new album Magna Carta Holy Grail. Although Jay still pimps for Southern producers Pharrell and Timbaland, his business is no longer searching for the next musical wave, it's searching for the next iconic product. In this case it's Samsung and Jay's choice to sell 1 million of his albums through purchase of the new Galaxy S4. It's marketing genius no doubt, but what about the music? I'm searching through the album looking for something new, artists that we've never heard or beats incorporated from other genres, and I'm coming up short. Sure, there's new producer WonderGurl, a 16 year old wunderkind, and some vaguely dubstep beats on MikeWillMadeit's 'Beach is better', but I'm not seeing much in the way of innovation or curation. The first track on the album 'Holy Grail' is the magna carta of intro's. Timbaland on the beat, JT on the hook (for a minute and a half no less), it's death by chocolate in a song. There's no innovation here, just a One Republic track with a skittery Timbo beat riding under it. 'Picasso Baby' and 'Tom Ford' fair a hell of a lot better thankfully, two designer bangers full of references to items even more pricey than their titles. Unfortunately, it downhill for a much of the rest of the album. 'Oceans' tries to conjure up visions of slaveships juxtaposed against fancy yachts, as Hov envisions his ancestral struggles while kicking back on the bow of a 30 footer. The muddle of historical pain and celebratory boasting fails to conjure up much at all on repeated listens. 'FUTW' rides a more laid-back version of the Picasso beat, with Timbaland showing more soul than ever before. However, the subdued production gives Jay an excuse to lay back on the couch and converse about Homeland, among other things. The dirty basslines continue with 'Crown' and 'Heaven', both also failing to inspire much more beyond slight head-nodding, the latter almost derailing completely with a superfluous R.E.M. lyric. 'Part 2 (on the run)' feels like a early 00's Mary J Blige remix, but for those still hanging in, there's respite. The double feature of the too-short 'Beach is Better' and 'BBC' would have stood out on a tauter album, here they're almost lost in the blander back-end. Besides a few highlights, the album comes off as flat, or as some critics have posited, safe. No longer the innovator, Jay is sitting on cruise-control, rolling out stadium-ready bangers and filling the album out with some old school leaning productions for the true heads. It's a little sad, because in becoming big business, he's lost sight of what it was like when he was a start-up. As he said himself "the streets is watching", just as back in the day he was watching the street; taking little known genres and feeding them to the masses in three minute highlight packages. These days though, he seems content watching the hands on his Hublot watch, counting down the days to his retirement. Run the Jewels is a collaboration between Brooklyn veteran rapper/producer El-P and Southern stalwart Killer Mike. They came up through vastly different channels. El-P was the definition of backpack-rap in the 90's with the seminal group Company Flow, while Killer Mike was anointed out the gate having found affiliation with Outkast and Goodie Mob at the peak of their powers. After linking up a couple years ago, El-P hit the boards hard. He dominated the Hip-Hop landscape last year by lacing both his and Mike's solo albums with stellar productions like 'Big Beast' and 'Drones over Brooklyn'. Following the critical praise of both Cancer for Cure and Mike's R.A.P. Music the two had struck up such a firm friendship they decided to tour together and put together this album. As for the music itself, it sounds a lot better than a free collabo album rightfully should. 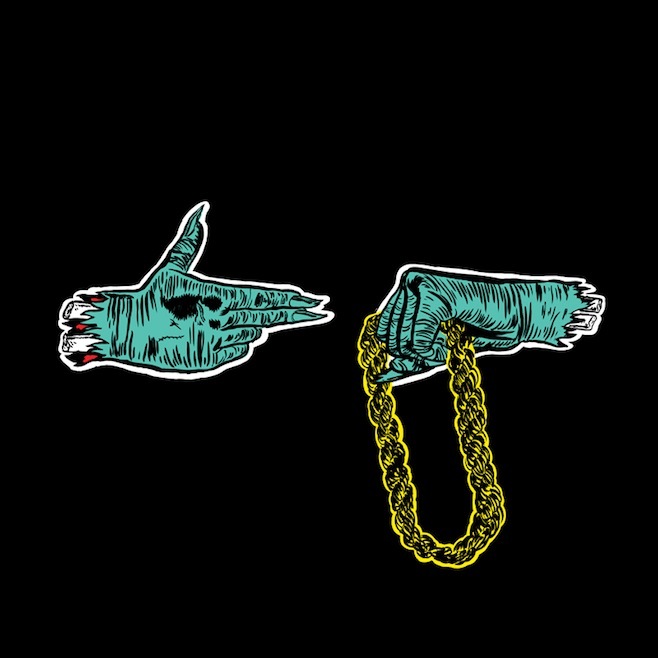 Title Track 'Run the Jewels' leads off the album and sets the tone for the other 9 tracks. 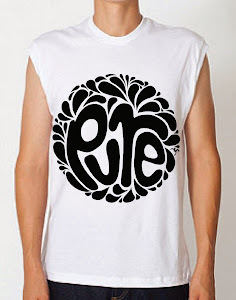 No nonsense Hip-Hop with with aggressively boastful lyrics. It jumps out of the gate with amped guitar lines, hard drums and sinister synths. They double down on the braggadocio with '36 Chain', a straight up banger with what sounds like someone playing bells in a tunnel deep in the mix and some nasty drums. 'DDFH' slows the pace a little but ups the intensity and paranoia, and even includes a chorus (although 'Hey Hey Hey' hardly constitutes a hook). 'Sea Legs' opens with swirling Bollywood arpeggio's and finger snaps with El-P sliding in just before a sub-Timberland drum pattern kicks up the pace. Mike comes out fighting, declaring "I rival your idols" among a litany of other boasts and threats. 'Job Well Done' sees the boys looking back over the waste they've laid over their careers, and everyone from men to women, monks to dolphins gets it. It's a lap of honor after surviving a war and "walking through the ashes, saying 'didnt we do well'?". Killer Mike uses 'No Come Down' as an excuse to tell a story about getting so high that he "Traveled to the moon", made love to a woman and came back to earth to find out they were brother and sister. Must have been a crazy trip. 'Get it' is about just that, and while the dexterous El-P dreams about the simple life, one filled with "the company of women with opinions and fat asses", Mike is still in angry mode, unleashing on Catholics, Cops and Goofy rappers. In the end, there's no real concept to this album, other than two rap vets in their prime throwing heat over some of the winters hottest beats. So good, you almost feel bad getting it for free. In their own words, go get it. Get the album HERE for free.